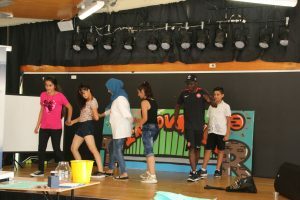 On Tuesday 19th December, we held our first annual End of Year Youth Celebration. Though it was an extremely hot day, we had so much fun celebrating our youth and all that makes them so special. The event was held at PCYC Liverpool and involved four different workshops for everyone to participate in. 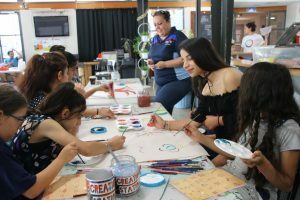 Throughout the day, the youth were able to learn about and create Aboriginal art, sing, dance, practice new soccer tips and reflect on positive thinking. Amy from PCYC facilitated a workshop on Aboriginal art, teaching the youth about its significance and the meanings of various symbols. 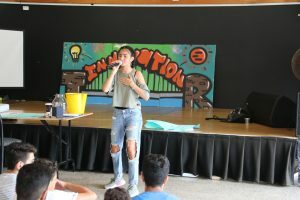 Lara Dabbagh, a young local singer, came out to host a singing workshop and performed for us. 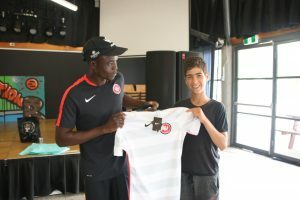 We were very fortunate to have the Western Sydney Wanderers coaches, through Football Federation Australia, facilitate skills-based workshops, play many games and set up large inflatables that provided lots of fun on the day. Taking note of our passionate soccer players, the Wanderers were extremely generous on the day, giving out many gifts and even promising to help young passionate soccer players, Tareq and Alaa, pursue their soccer dreams by assisting them in finding junior teams to join. 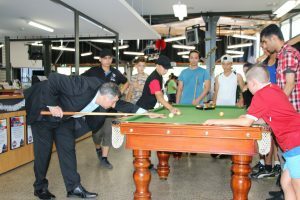 Our CEO, Kamalle Dabboussy, came along and joined in on the fun. He spent the day engaging with the community and playing games with the youth. 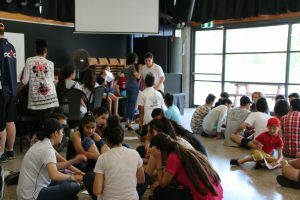 Western Sydney MRC staff members Rachel Haywood and Nadia Bouchti introduced the youth to our 2 Worlds 2 Words campaign, during which they were able to share their two words of encouragement and positivity. Our game of trivia became extra competitive (in a friendly manner of course) with different groups showcasing their general knowledge on Australia. We were privileged to have the youth perform cultural dances with many attendees learning from them and participating (or at least trying to!). Ballina Gee, another member of staff at Western Sydney MRC, treated us to a performance, leaving the audience in awe of her wonderful voice. 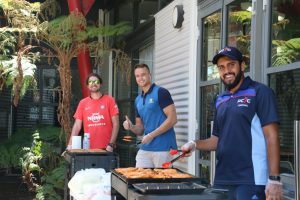 For lunch, a barbecue was cooked by the PCYC staff and members of the Western Sydney Wanderers community. 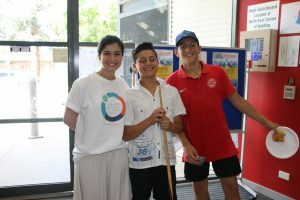 The event was a reflection of the benefits of great community connections and showed just how devoted so many members of the community are to supporting one another. 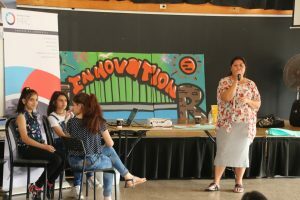 The event saw a large turnout with over fifty young people attending, and were fortunate enough to have more than ten facilitators, alongside other volunteers, who aided throughout the day. We are especially thankful to the staff at PCYC, who not only provided the venue but so much help and support throughout the day. Without them, the success of our event would not have been possible. 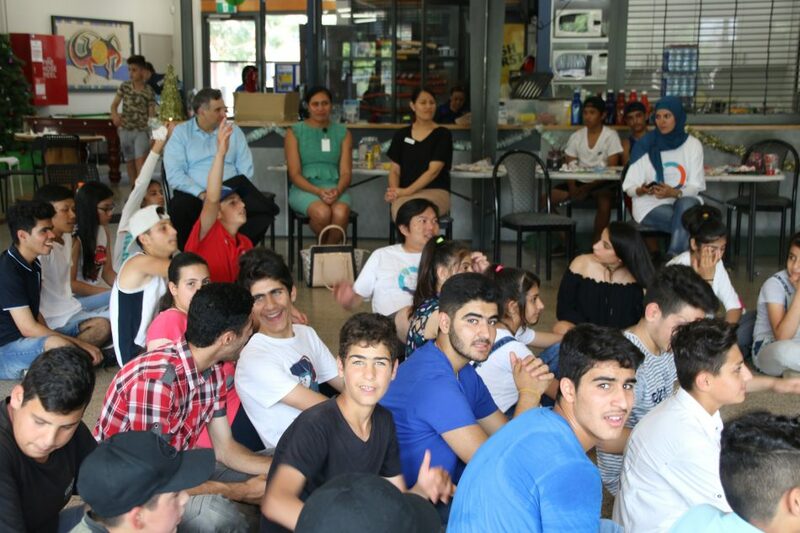 Special thanks are also due to Lara Dabbagh and PCYC staff, as well as, Whitlam Leisure Center, Chester Hill Mariner Pizza, Global Group Training, Football Federation Australia and the Western Sydney Wanderers.